CHARLOTTE, North Carolina (WTVD) -- A Charlotte restaurant accused of serving a man 17 shots of liquor before a crash is disputing that claim as "inaccurate." Investigators are saying that 48-year-old Robert Kite consumed the shots within four hours, at the Wild Wing Café on Ayrsley Town Boulevard, which is a state violation. 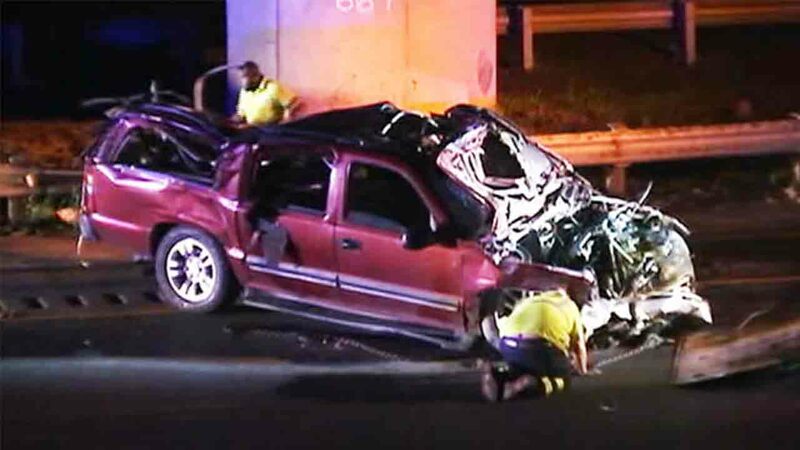 Kite then crashed his vehicle on the I-485 flyover bridge and plunged 70 feet onto I-77 in September. The father of six died at the scene. "It's against the law in North Carolina to knowingly sell to an intoxicated patron," Michael Crowley, chief of Mecklenburg County Alcohol Beverage Control, told WSOC. State officials said Wild Wing Cafe has signed a settlement agreement that states the restaurant will lose its liquor license for 10 days or pay a $1,000 fine. The ABC Commission will vote Wednesday to ratify that agreement. "This is a tragic incident, and our heartfelt thoughts continue to remain with the Kite family. At Wild Wing Cafe, we always strive to create a safe environment where friends and family come together to listen to live music and enjoy good food. We would like to clarify a few reports that have been published and reported on news and media outlets. On September 18, Mr. Kite was with a group of several people at our restaurant for multiple hours. The alleged violation from the ABC Commission suggests that one person received 17 shots. This is inaccurate as the drinks were consumed by the group and were simply on one bill. This tragic incident has had a lasting impact on the entire Wild Wing Cafe family. The safety of our guests is at the heart of our business and our culture, and we strive to ensure that every day."